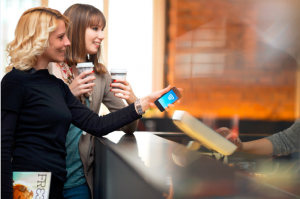 How to ensure secure NFC mobile payments to customers? Payment devices are evolving over time and financial industry must adapt in parallel. 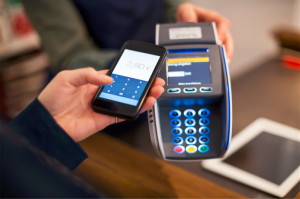 Today credit cards are being replaced by smartphones as payment terminals. But with these new means available to customers, new security issues are emerging. Consumer IDs usually stored on credit cards now transit on mobile device. Thus, security features must take that into account. 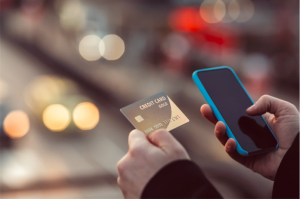 In order to meet the requirements of consumers who want a simple and reliable mobile payment solution, the banking industry must facilitate the transition of payment cards to payment solutions with digital credentials (mobile payment applications. e-wallet…), while ensuring the security of the different payment devices. International payment systems provide issuers, merchants and value-added partners with a consolidated payment ecosystem accessible through secure APIs that support the management and generation of digital payment tokens. Sensitive data such as primary account numbers (PANs) exchanged with transmitters are encrypted and authenticated in the APIs. 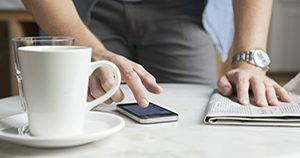 Value-added partners that offer mobile payment solutions receive single-use transaction keys to provision the mobile application through these same APIs. Security functions for sensitive data exchanged with VISA VTS or MASTERCARD MDES platforms have been added to the crypt2pay security hardware module (HSM) to manage the authentication and encryption of sensitive data. 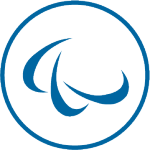 Are you interested in our mobile payment security solutions? Instant payment, mobile payment and transactions carried out in a payment center, we secure your financial transactions. For more information on what we can do for you, do not hesitate to contact us directly by email or to fill out our contact form. Trustway crypt2pay is a high performance encryption device designed to protect transactions, carried out with a bank or private card, contact or contactless, and all operations made in card processing centers. 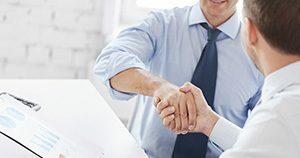 The proliferation of applications and HSMs requires the establishment of centralized tools for key management and harmonization of procedures for key management. 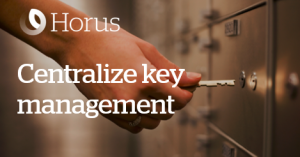 Atos KMC solution has been designed to manage keys for banks and large organizations. 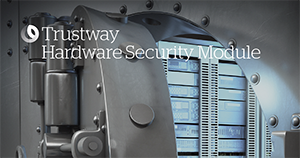 HSM TrustWay Proteccio OEM provides editors and integrators with an open and secure hardware platform for designing certified and scalable cryptographic appliances. 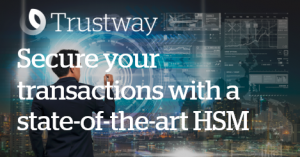 Interested in our HSM payment Trustway crypt2pay?